The global introduction of the Chevrolet S10 truck series in 1982 helped boost the light-duty truck market. The compact trucks that existed from Toyota and Mazda were beginning to dominate the auto industry. The move to building a light-duty pickup proved to be great decision for General Motors. One reliable component found in S10 trucks is the gearboxes. The Preowned Transmissions company is a trusted source to buy Chevy S10 transmissions. The first build used in the 1982 series S10 was the THM200C. 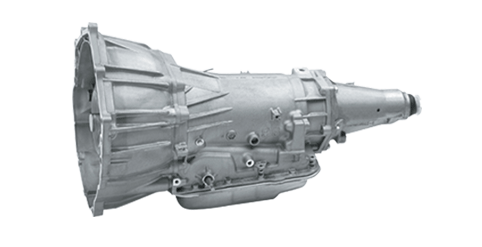 This smaller three-speed column transmission was not the design of choice for many truck owners. While this build is still popular, finding replacement units is harder each year. This resource sells the turbo hydra-matic 200C series for the early S10s. The change to the four-speed design in the 1980s to the 700R4 helped expand the power of the light-duty pickups from GM. There were two types of gearboxes used most often in the smaller Chevy trucks. These were the automatics and the manuals. Most of the automatic builds revolved around three popular designs. The 700R4, 4L60E and 4L60. These units were the same builds although the transmission control modules were added to help provide more reliable shifting with GM produced torque converters. The 4L60E is likely the most popular of the modern builds used by GM in the past 25 years. These are units are most often found through secondary sources like this website. There were manual editions used that included the Muncie and Getrag builds. These outsourced units were available in the early 1990s. The New Venture builds and Borg Warner T5 helped round out the larger five-speed manual configurations in smaller Chevrolet trucks. Knowing the history of the Chevrolet truck series helps when locating an exact match transmission online. Each unit that is sourced through this website features completely authentic builds. These are genuine gearboxes with zero modifications internally or externally. Every tool available on this website is designed to be helpful. The detailed pages are offered to answer many questions not usually found on transmission websites. A quotation system is built for consumer use through this resource. It is this system that is most used to generate sticker pricing for all truck gearboxes in stock. There are no codes or part numbers required when using this quote tool. The automated process works from the truck year and model only. Calling the toll-free phone number on each page of this website instantly reveals pricing. This is commonly used to learn more information about mileage, warranties and other information that is crucial before purchases are ever processed. A trained specialist who knows GM products assists consumers who use the toll-free number option. Each method of used transmission pricing discovery featured here gets consumers to the same end goal. A low price, free shipping and ultra-fast delivery within the U.S.